For in-store inquiries, use sku #2615630. 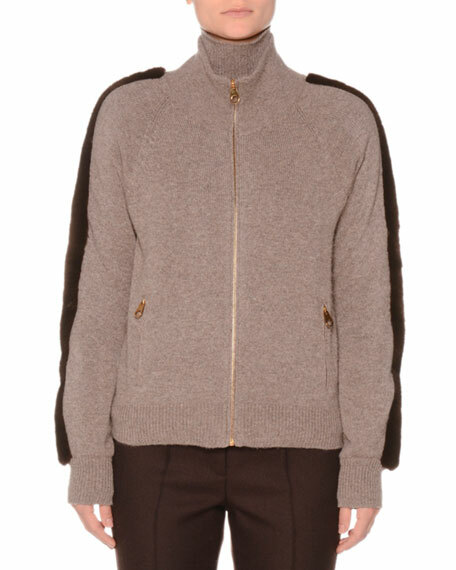 Agnona cashmere sweater with dyed mink fur (Finland) trim. Stand collar; zip front. Long sleeves. Side zip pockets. Relaxed fit. Made in Italy. 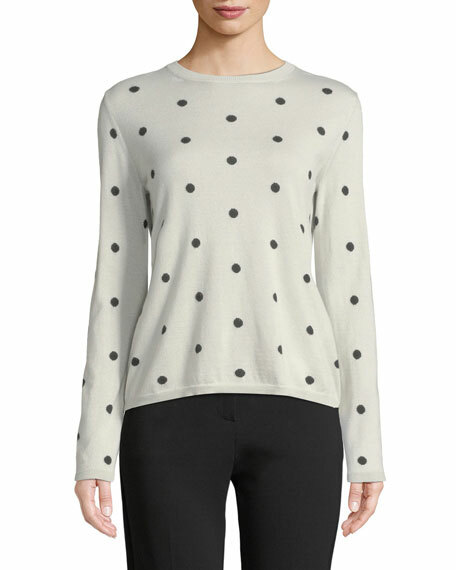 Giorgio Armani cashmere sweater with leather front. Round neckline; one-button front. Long sleeves. Self-tie waist. Lambskin. Made in Italy. 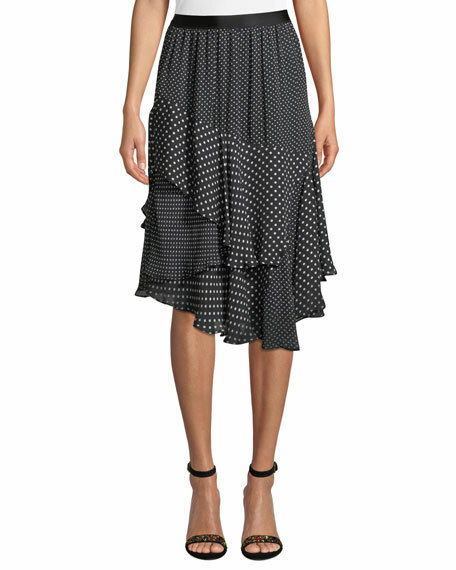 Joie "Deshay" skirt in asymmetric, bias-draped tiers with mixed-size dots. Banded waist. Easy pleated fit. Fluted, uneven hem. Polyester shell/lining. Imported. 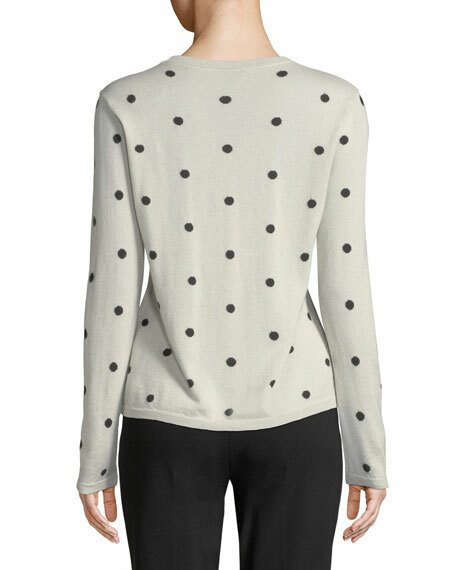 Joie "Etha" dress in polka-dot print. V neckline; neck tie. Long bishop sleeves. Sheath silhouette. Mini length. Slipover style. Polyester; self lining. Imported.